We are an International Shipping Services Company that arranges to move to overseas destinations. 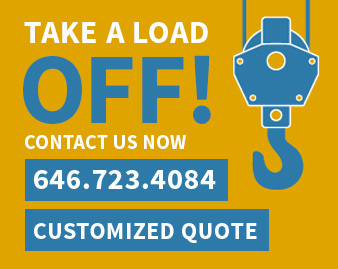 We offer shipping services from New York, New Jersey, Connecticut, PA, and Los Angeles, CA. As always, our service is door-to-door using skilled, professional and licensed agents in the industry. Please fill out an international shipping quote form. Call 646-723-4084 to speak to a representative. International shipping companies divide shipping procedures typically in two classes: residential and commercial needs. Our residential customers rely on international furniture shipping services in the event of a relocation or purchasing and selling items overseas. Likewise, businesses rely on international shipping services to sell and receive products. In brief, we focus on international container shipping for household goods and office furniture. Usually, businesses rely on us to send or receive important business documentation. This serves as a major form of global communication between businesses. Ask for a customized International Shipping Quote based upon departure and destination. We are a reliable shipper that offers safe and secure international moving of furniture and boxes to almost any overseas destination. Generally, we transfer anything and everything from personal items to oversized vehicles. Conveniently, we help you decide the appropriate size of international shipping container to use. This is so that your items match the size of what is being shipped. All Around Moving has everything under one umbrella. Therefore, we are your one-stop moving company for all moving needs. Overseas International shipping services can be used at a variety of different costs to the consumer. For example, shipping rates usually depend on what and how it is being shipped. Also, we take into consideration how much the shipment weighs. Additionally, we consider where it is being shipped from, and the time frame of the item’s arrival. All Around Moving, has a network of licensed freight forwarding agents. We assist with international services to ship household goods to Europe. Proudly, All Around Moving, offers the best quality door to door services to Europe. Door-to-door international moves involve picking up and delivering the shipment from your old home to the doorsteps of your new home. Without proper guidance and assistance, moving internationally can be extremely stressful. Therefore, at All Around Moving, we recommend choosing our door-to-door international moving services. We work hard to eliminate unnecessary logistical stress. Ask for a customized international shipping quote based upon departure and destination. Don’t wait, call us today at 646.723.4084. Many consumers rely on international freight shipping companies to send and receive products. Therefore, our international movers provide services such as packing & wrapping household goods. We use international brown paper. In addition, we also provide wood crating for selected items (such as art and antique). Please note that anything you ship as an international move cannot be used for commercial purposes. For example, items used to sell at your destination country. Therefore, such items would fall under the import/export category for which different legal and financial obligations apply. To be cautious, you should also leave out fake plants, toy guns, and any items that may be mistaken for a prohibited item. We arrange for this using the safest, most secure and economical methods of ocean container shipping. Additionally, we arrange the loading of household goods, personal possesions, and automobiles. This is done by Marine-licensed freight forwarders and Non Vessel Owning Common Carrier (NVOCC). Conveninently, All Around Moving will never impose a limit on the size of your shipment. Big or small, we do it all! If needed, we offer full service loading 20′ or 40′ ocean container and ocean shipping arrangements done by our freight forwarder.